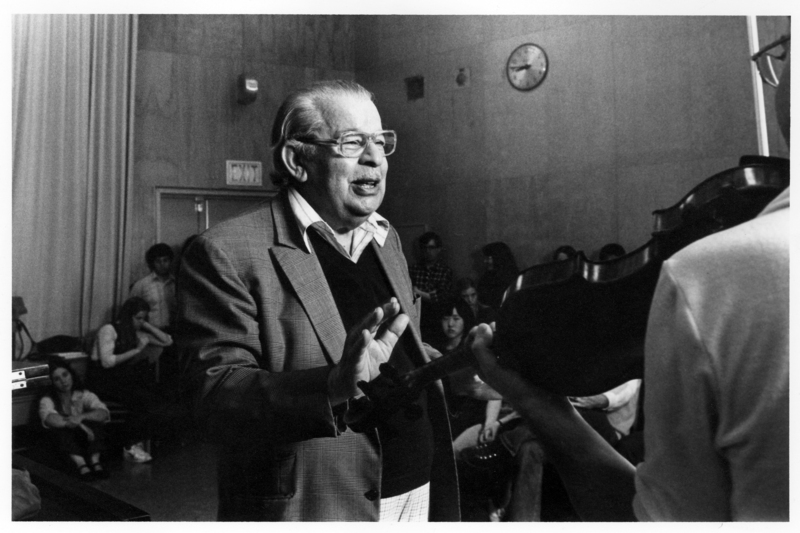 Recently, I found a few interesting links relating to Josef Gingold, the legendary violinist and teacher who died in 1995. If you’re not familiar with Gingold’s legacy, this short video offers insights into his life, distinguished career and great humanity. Gingold has many interesting things to say in this interview, conducted in the last years of his life by Kim Markl. He talks about the importance of constantly learning and changing throughout life. Despite his age, he exudes a love of the violin and a joy of discovery that suggests an amazing youthful vitality. 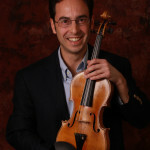 He discusses the way styles of violin playing have changed over time, demonstrating in the style of Ysaye. He believes that the most fundamental aspect of good tone production is good intonation, which allows rich overtones to ring. When asked about teaching, Gingold stresses the importance of a student’s first teacher in establishing the correct foundation. He says that a good teacher must have patience and must recognize that each student is unique. It’s also fascinating to hear Gingold’s thoughts on violinists of the past. In this episode of Music for the Fingerboard Gingold takes us through recordings of significant violinists of the past including Joachim, Sarasate, Auer, Kreisler, Huberman, Ysaye and Heifetz. Students of Gingold, such as Joshua Bell say that listening to recordings and studying the way legendary violinists played was an important part of their lessons with Gingold. Indeed, it’s important for all violinists to know the playing of the great violinists of the past. (Here are Parts 2, 3, 4 and 5 of Music for the Fingerboard). person and artist, in every sense of the word? I am a 2nd violin player in the Royal Liverpool Philharmonic since 1981. 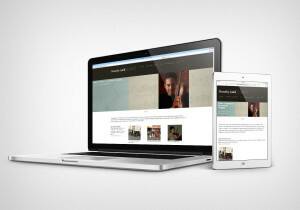 Do let me know what you think of Herbert Whones website. Thank you for sharing the link, Jim. Gingold’s legacy is a great reminder of the important bond between teacher and student.